Maurice Godfrey Wells was born in 1898 and was the youngest son of Alfred and Annie Wells of Lawnside, Buckhurst Hill. 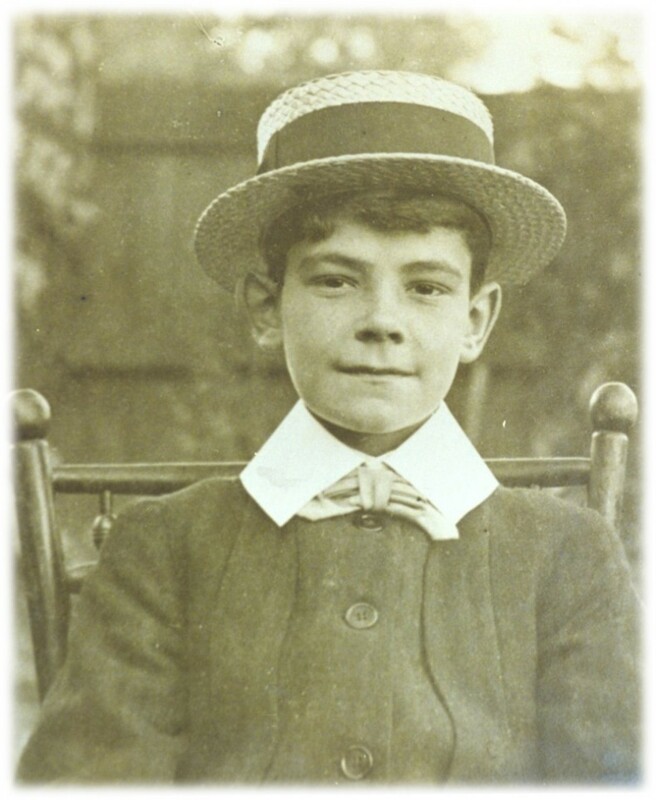 He attended Bancrofts school 1910-1914 where he excelled at languages including German. His father and grandfather had both been in shipping and so it seemed logical that Maurice would join the Lloyd's Register as a clerk. On the 12th November 1917, following officer training, Maurice was gazetted as a Second Lieutenant in the 211th Brigade of the Royal Field Artillery. 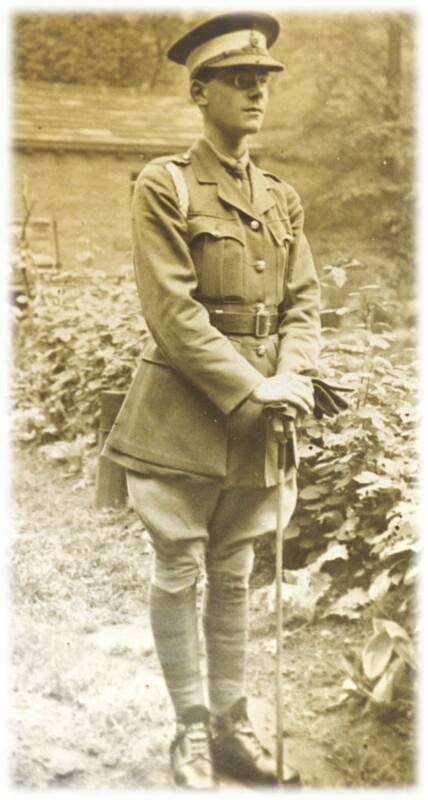 As with Squires and Davis, Wells was involved in the Spring Offensive of 1918. The Spring Offensive, which began with Operation Michael, was the German's attempt to force the Allies into retreat and regain land that had been lost during previous battles and offensives. Much of the fighting took place over the wilderness that had been left by the Battle of the Somme. Though the German army made significant gains during this offensive, they were left exhausted and were unable to truly captalise on their achievements. The 211th had been a little way back from the front line and had managed to retreat in those first few days of the offensive. By the 27th March they found themselves in hastily prepared positions in the vicinity of Bucquoy - a farming village south of Arras. It had been reported by the soldiers holding the front line that the morning would see an assualt upon their line. They called for artillery support and Maurice's brigade began to shell the opposing lines. The British firepower was met with fierce German resistance and retaliation and was followed by a mass infantry assault between 11.00am and 2.30pm. Though the initial attack was held back, the shelling and the infantry charges resumed the following morning. By this point, a number of Maurice's gunners had been killed or were wounded and the British front line became more ragged. By midday, a large party of German stromtroopers (a specialist force of German soldiers trained to fight with infiltration tactics) had broken through and attacked positions. 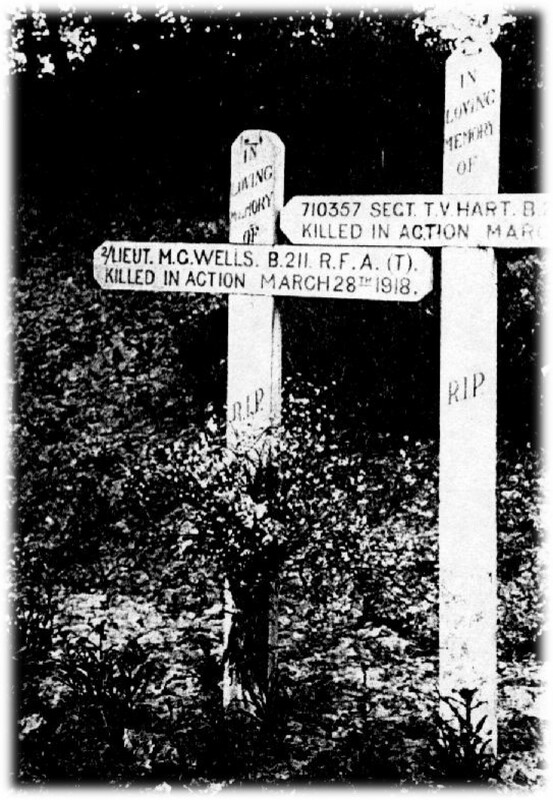 It was in this fight that Maurice was killed, on the 26 March 1918. 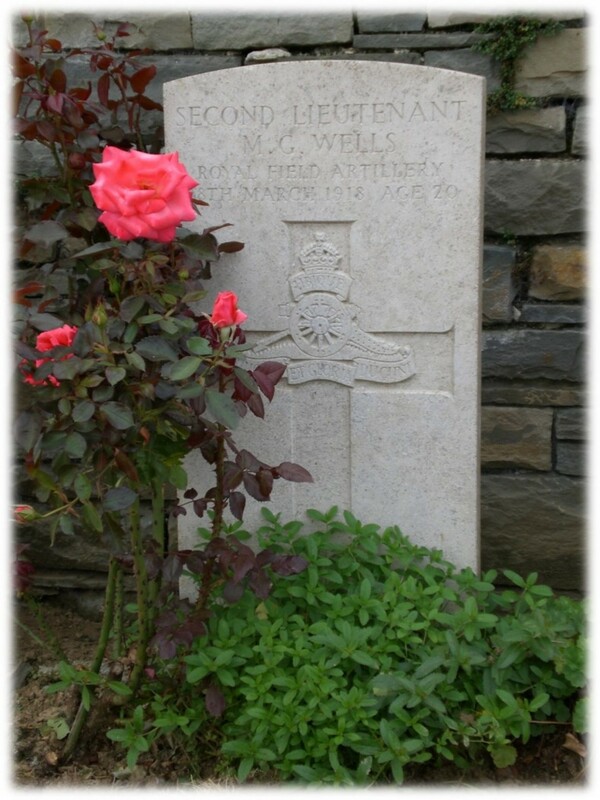 Wells' grave can be found at the Bienvillers Cemetery, France. For further burial details, including Well's grave registration report, visit his portal on the Commonwealth War Graves Commission website. A detailed biographical account of Well's life and military career can be found on the Bancroftian Network. More information about Wells can be found on the Imperial War Museum's Lives of the First World War website or The National Archives. If Maurice G Wells is one of your relatives or you know more about his life, get in touch at hec.info@lrfoundation.org.uk!